In this 1955 photograph Leo Ducker wears an early form of wetsuit called a ‘sealskin’ over a jersey. 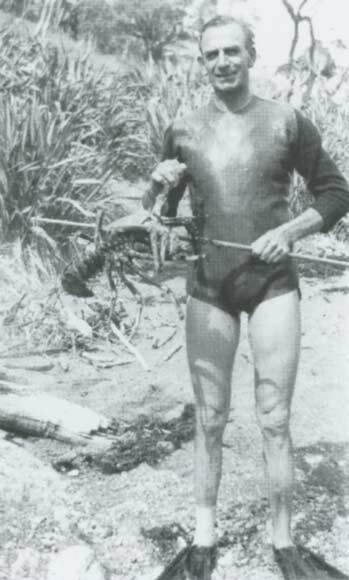 Before wetsuits were in common use, divers would often wear woollen jerseys over their swimsuits to ward off the cold and prolong the time they could spend underwater. Sometimes the jerseys were worn in conjunction with early wetsuit prototypes.